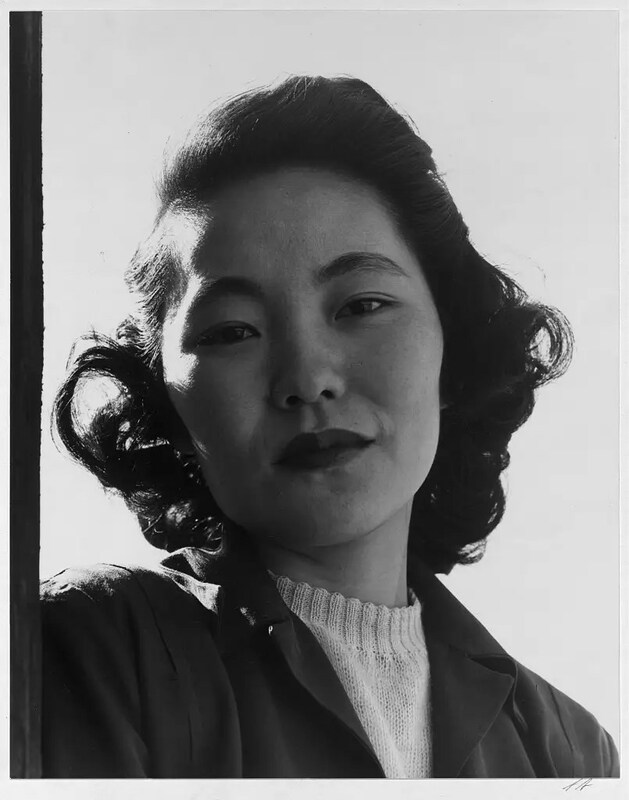 Born in the city of Kamakura in 1930, Akiyuki Nosaka didn’t have an easy childhood. His mother died two months after giving birth to him. His adoptive father was killed in an air raid on Kobe in the closing months of World War II, and growing up Nosaka would also lose an older sister to illness and a younger one to starvation after evacuating their home. Nosaka would channel the pain of these experiences into his semi-autobiographical novel Grave of the Fireflies, which was published when the author was 37 and would be awarded the Naoki Prize for literature in 1967. While the novel has had limited exposure abroad, it was also adapted into an animated theatrical feature in 1988, which earned international acclaim for its powerful story, Studio Ghibli-produced animation, and direction by renowned anime icon Isao Takahata. Nosaka suffered a stroke in 2003, and had been receiving convalescent care from his wife at their Tokyo home since then. 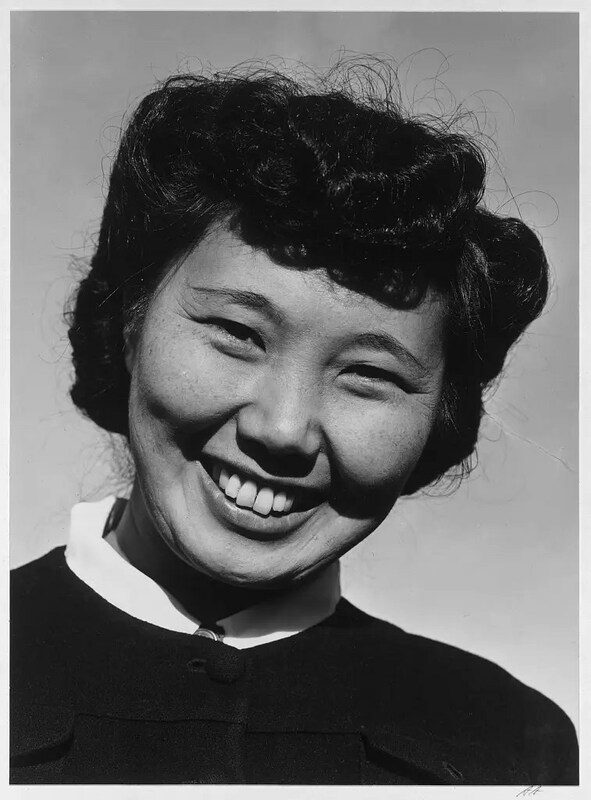 On the morning of December 9, at roughly 10:30, Mrs. Nosaka discovered that her husband was not breathing. The 85-year-old author was taken to the hospital, where he was pronounced dead by medical staff. In addition to his wife, Nosaka is survived by his two daughters, both former members of the Takarazuka all-female stage troupe. The deeply respected writer’s passing brings great sorrow to fans of literature and animation alike, and its suddenness, like Nosaka’s signature work itself, is a solemn reminder of the preciousness of life. Caswell “Cash” Harrison, the protagonist in this legal thriller set during World War II, is a fortunate young man. Fresh out of Columbia Law School, his family ties to the network of Philadelphia patricians promises him a cozy legal career. But having failed his military physical on a technicality, Harrison winds up in Washington, D.C., as a clerk to Associate Justice of the Supreme Court Hugo Black, toiling at the mundane task of screening petitions of certiorari to determine the cases that are relevant for the court to hear. Soon, however, Harrison finds himself caught in a web of intrigue, and what at first seems to be a typical Washington tug-of-war between conservatives and liberals transforms into something more sinister, including murder. 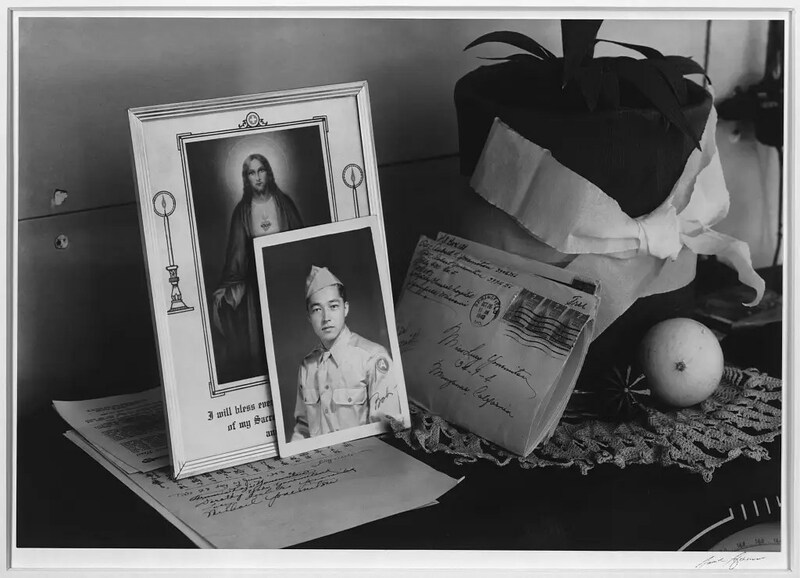 “Allegiance” shifts between the halls of power in wartime Washington to the gritty, isolated conditions of the Tule Lake internment camp in California. 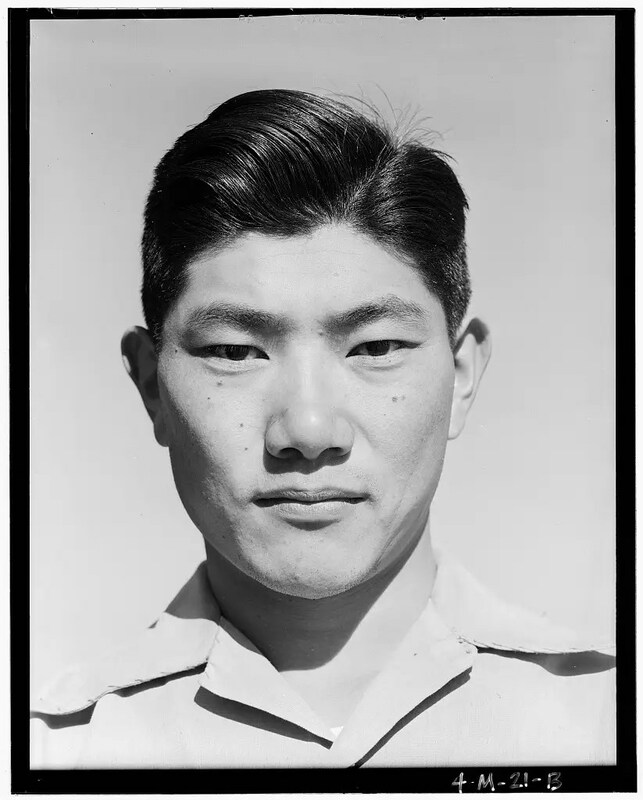 Through meticulous historical research, the author — a great-grandson of U.S. President Theodore Roosevelt — touches on the plight of Japanese-Americans, and particularly the so-called “no-no boys,” U.S. citizens threatened with deportation due to their refusal to give loyalty oaths. 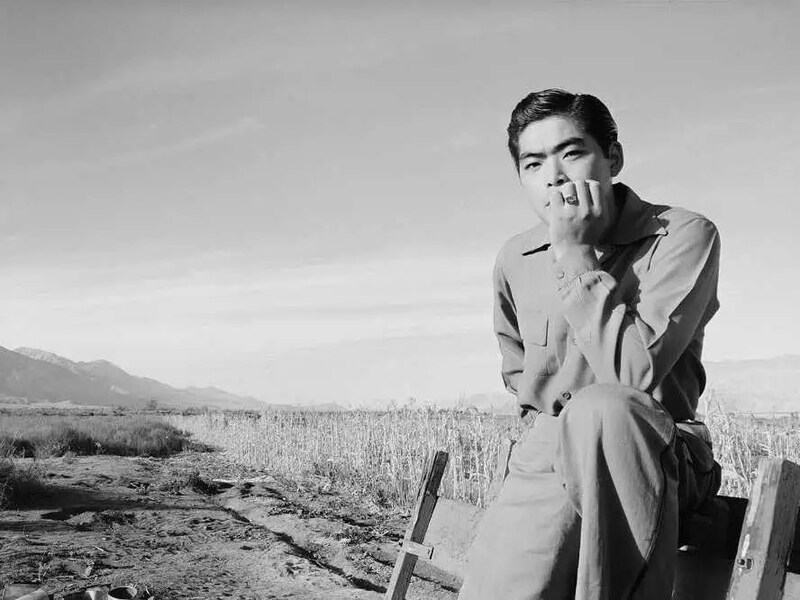 While Harrison is fictitious, the book is peopled with real-life historical figures, including Justices Black and Felix Frankfurter, FBI Director J. Edgar Hoover and unsung heroes like Masaaki Kuwabara, who refused military conscription until his rights as an American citizen were restored. 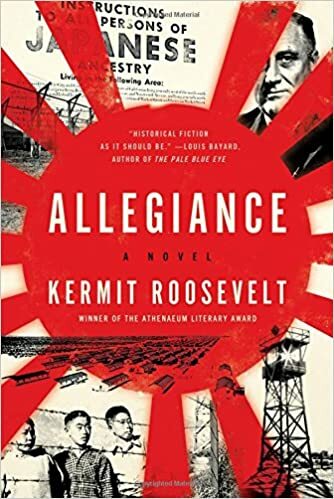 Although not as tightly spun as a John Grisham thriller, “Allegiance” is of particular interest for its depictions of Japanese-Americans’ struggles during the war years. If you’re new to the topic of American military bases in Okinawa, here’s the super quick rundown: Okinawa used to be known as the Ryukyu Kingdom, which existed as its own entity for hundreds of years. It was subsequently invaded by mainland Japan in 1609, begrudgingly annexed as part of Japan in 1872, and then completely devastated during World War II when it became a battlefield between Japanese and U.S. soldiers, resulting in one-third of the entire civilian population being killed. The U.S. occupied Okinawa following the end of the war, leaving its influence all over the island. People drove on the right side of the road (instead of the left as in mainland Japan), dollars were used as the official currency, and military bases were set up all over as well. When Okinawa was returned to Japanese rule in 1972, the roads and money went back to normal, but the bases stayed behind. After hundreds of thousands of lives lost and generations of war, you can imagine that the Okinawan people were getting very tired of the whole military thing. And that sentiment has continued up to today. Despite the fact that Okinawa makes up less than 1% of Japan, it is home to over 75% of all U.S. military bases in Japan. This makes the Okinawa people feel like they’re getting the brunt of U.S. bases dumped on them while the rest of Japan dodges the responsibility. ▼ That’s a lot of military presence on an island merely 65 miles (105 kilometers) long and five miles (eight kilometers) wide. Though general protests against the U.S. bases are held often, one of the most controversial topics is the relocation of Marine Corps Air Station Futenma. It is currently located in Ginowan City, but it was proposed to be moved to the coast of Henoko in northern Okinawa, away from the residential area. While the intentions behind the proposal may be sound, the Henoko coast is home to coral reef and critically endangered dugong. Many feel building a military base there would be a further insult to Okinawa, symbolically crushing beautiful parts of the island with more military installations. And that brings us to the recently established Henoko Fund. Okinawan politicians, CEOs, organizations and individuals have teamed up to sponsor ads and demonstrations against the relocation of the airbase, marking the first time that the private sector has officially become involved in the protests, so far raising over 100 million yen (US$834,064). Up until now there have been seven other high-profile joint representatives sponsoring the Henoko Fund, but Miyazaki is by far the most well-known. Considering the anti-war messages in his films and the fact that he was quoted last year as saying“demilitarization in Okinawa is essential for peace in East Asia,” his ideals fit in perfectly with the rest of the group. Other members of the Henoko Fund have said they’re very happy to have Miyazaki as a joint representative, and they hope that having him will help broaden their group’s appeal and further their cause, both inside and outside of Okinawa. 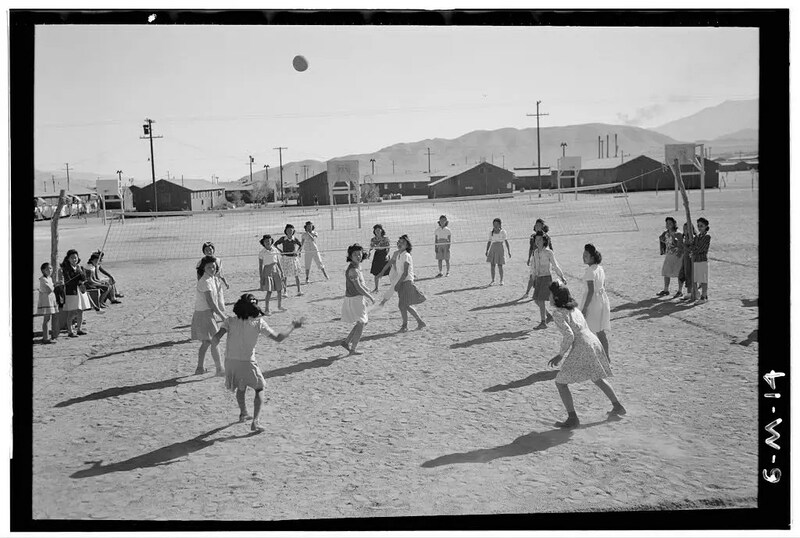 While America celebrates Victory over Japan Day on September 2, let’s not forget the suffering of about 110,000 Japanese Americans who were forced to live in internment camps. 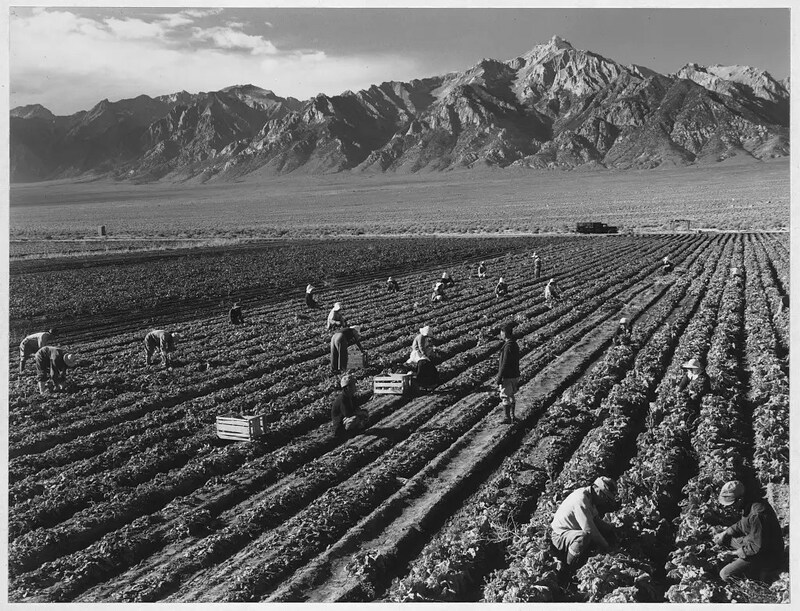 Even at the time, this policy was opposed by many Americans, including renowned photographer Ansel Adams, who in the summer of 1943 made his first visit to Manzanar War Relocation Camp in the Sierra Nevada mountains. 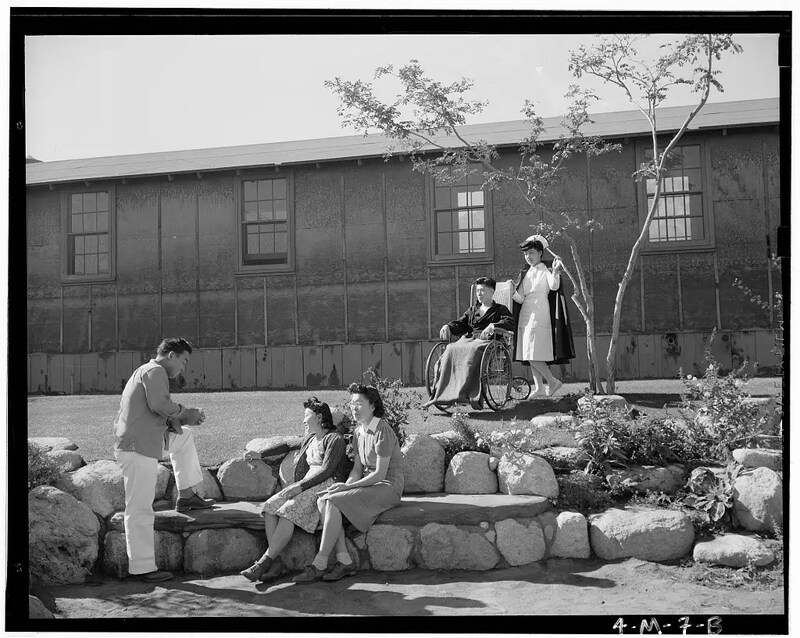 Invited by the warden, Adams sought to document the living conditions of the camp’s inhabitants. 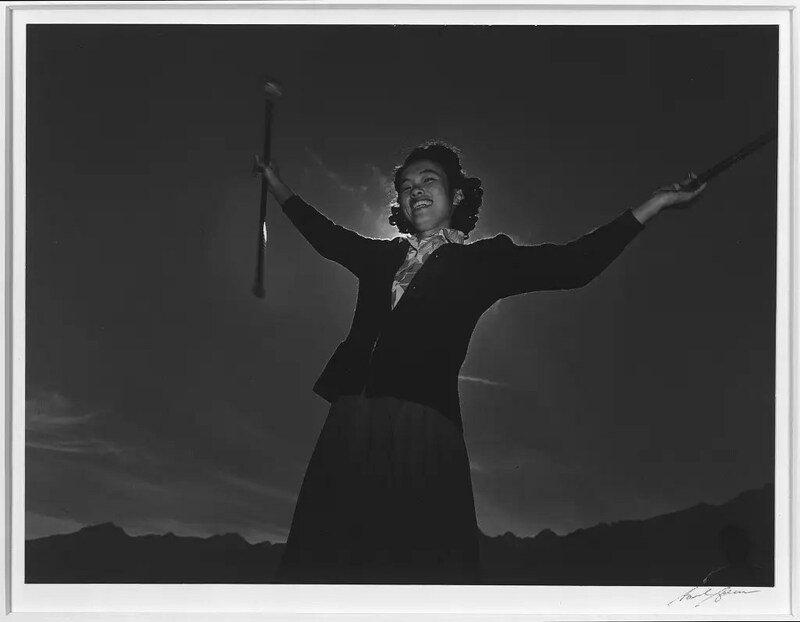 His photos were published in a book titled “Born Free And Equal: The Story of Loyal Japanese-Americans” in 1944, with an accompanying exhibition at MoMA. 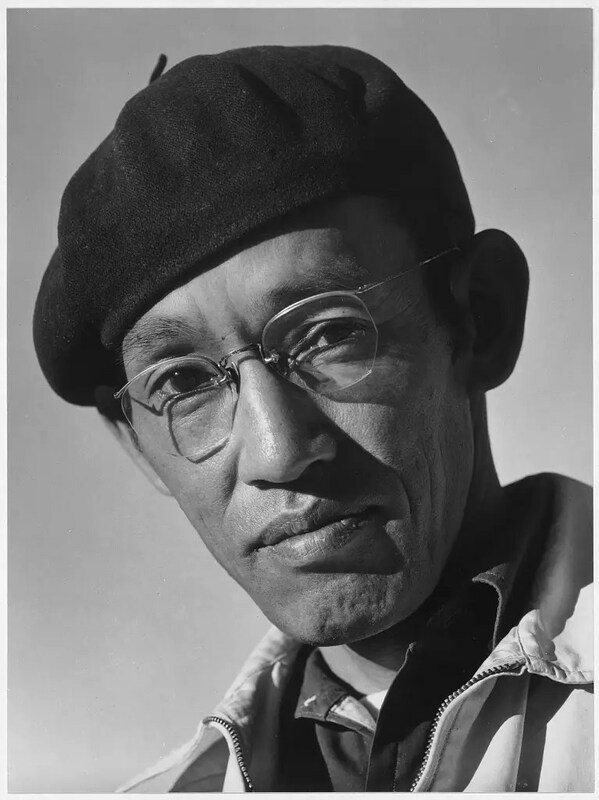 “The purpose of my work was to show how these people, suffering under a great injustice, and loss of property, businesses and professions, had overcome the sense of defeat and dispair (sic) by building for themselves a vital community in an arid (but magnificent) environment,” he said. 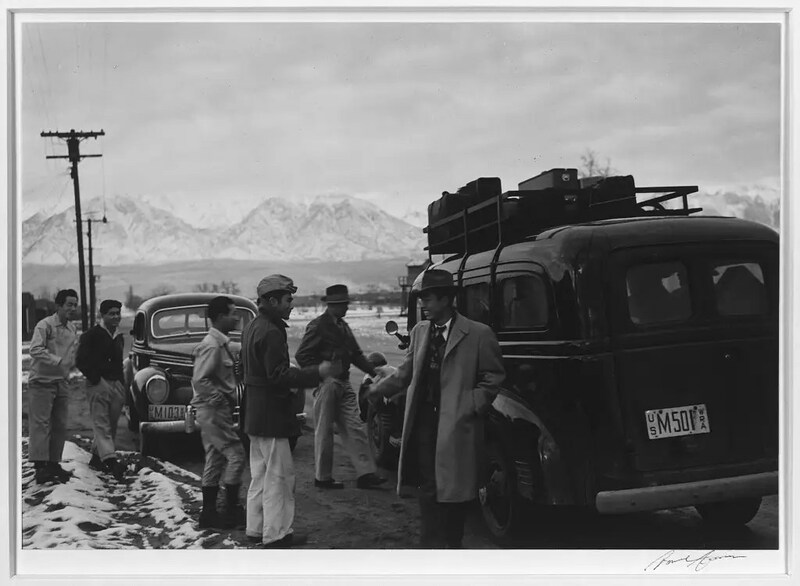 At the outset of World War II, the American government feared subversive actions by Japanese American citizens and began moving them to relocation camps. 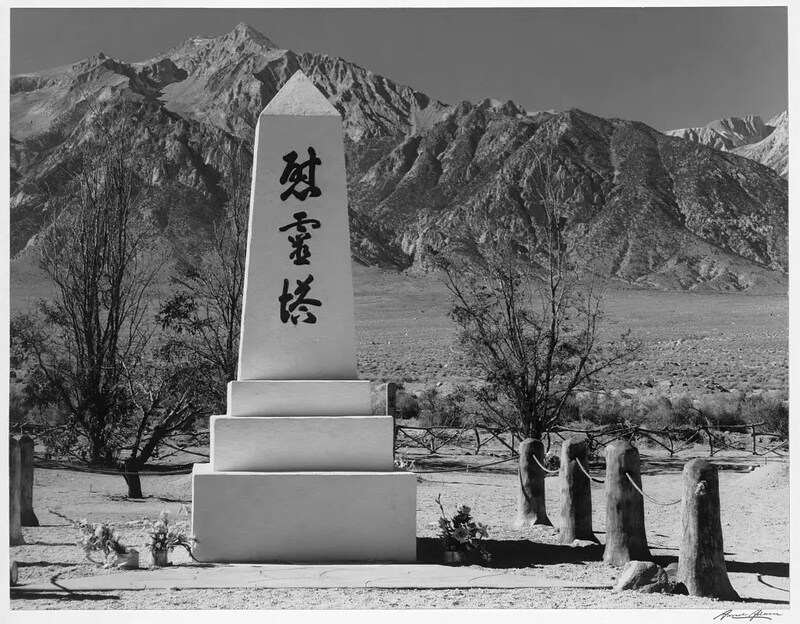 Manzanar was one of 10 sites where about 110,000 Japanese Americans were forced to live. 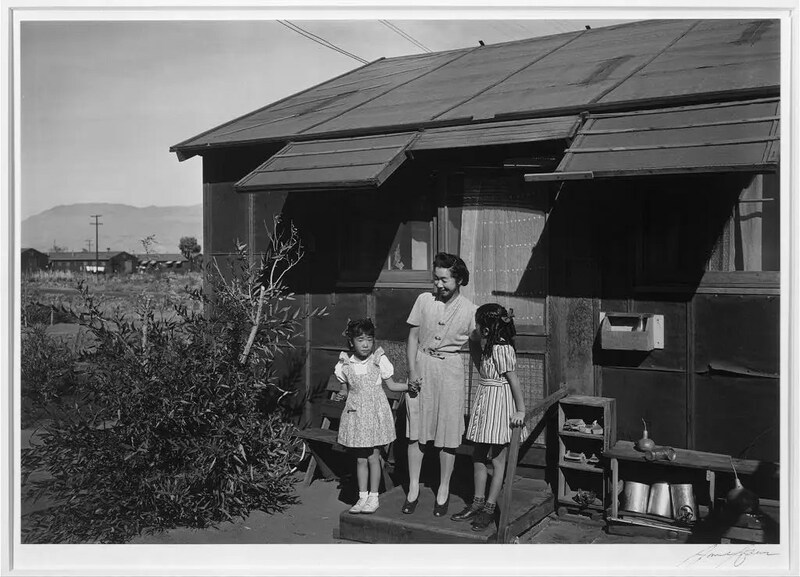 It was an abandoned agricultural settlement that was repurposed as a relocation center. 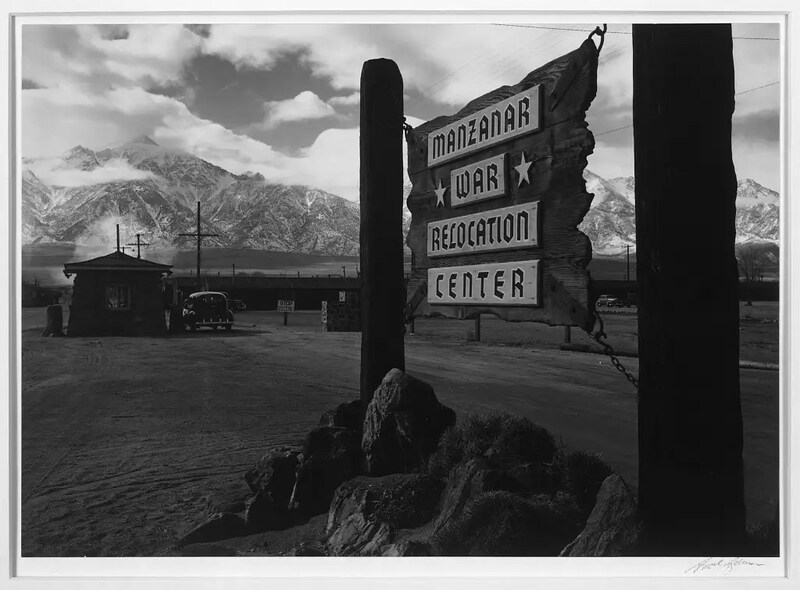 10,000 people would be housed at Manzanar. 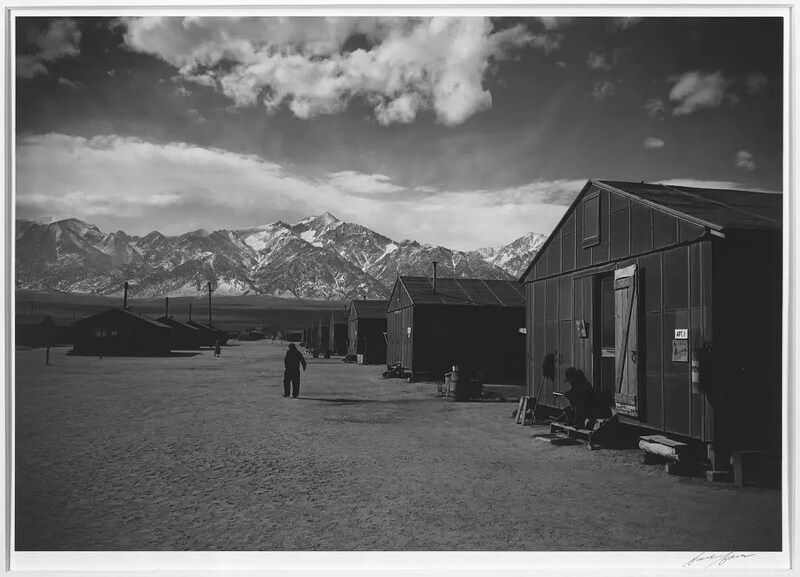 Adams’ works showed the humanity of people living at the camps. 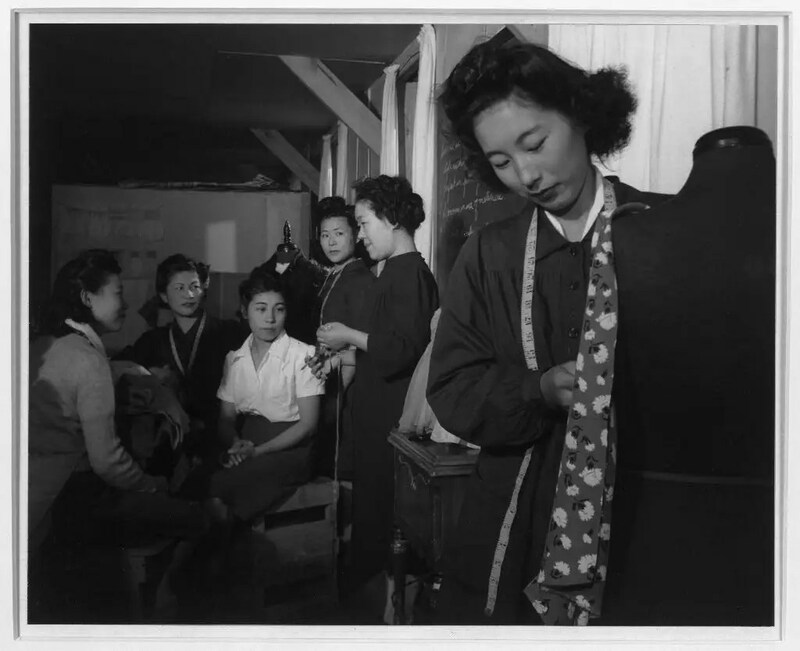 Here, Ryie Yoshizawa, center, teaches a class on dressmaking. 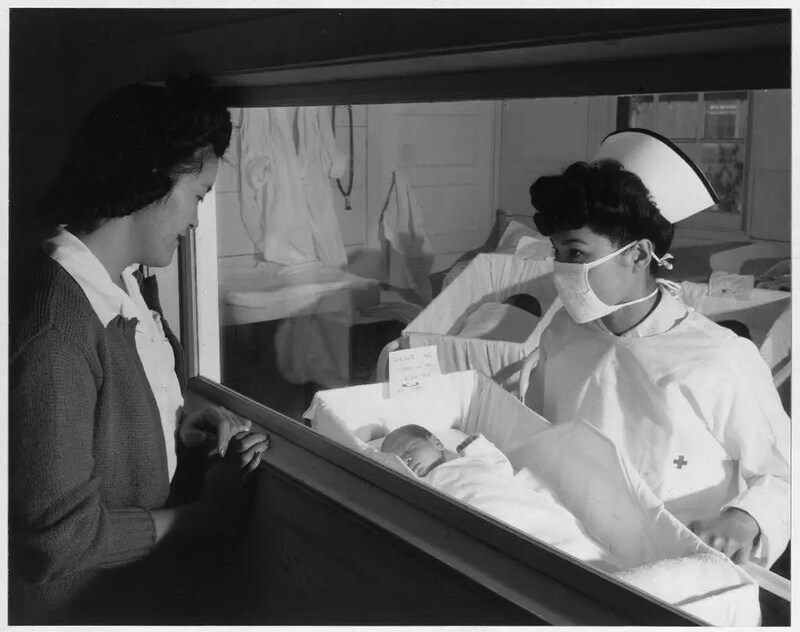 Here, from left to right: Louise Tami Nakamura, holding the hand of Mrs. Naguchi, and Joyce Yuki Nakamura. 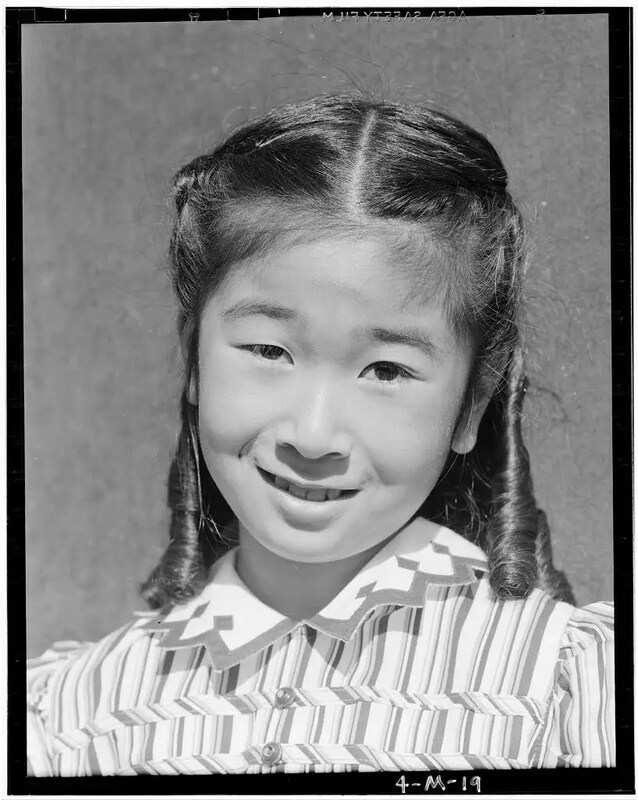 In many instances, Adams took portraits of the people whose daily lives he photographed, like this one of the same little girl, Joyce Yuki Nakamura. 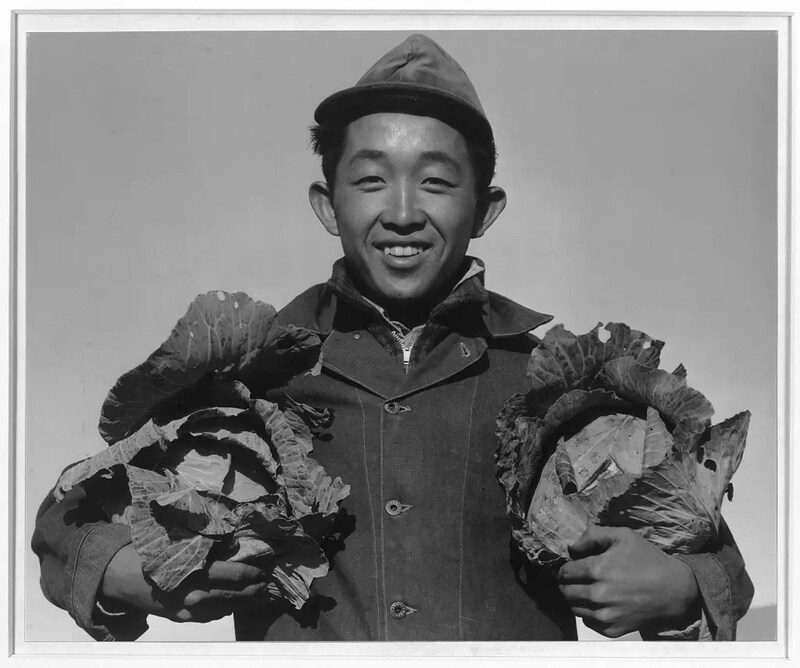 Richard Kobayashi was a farmer. 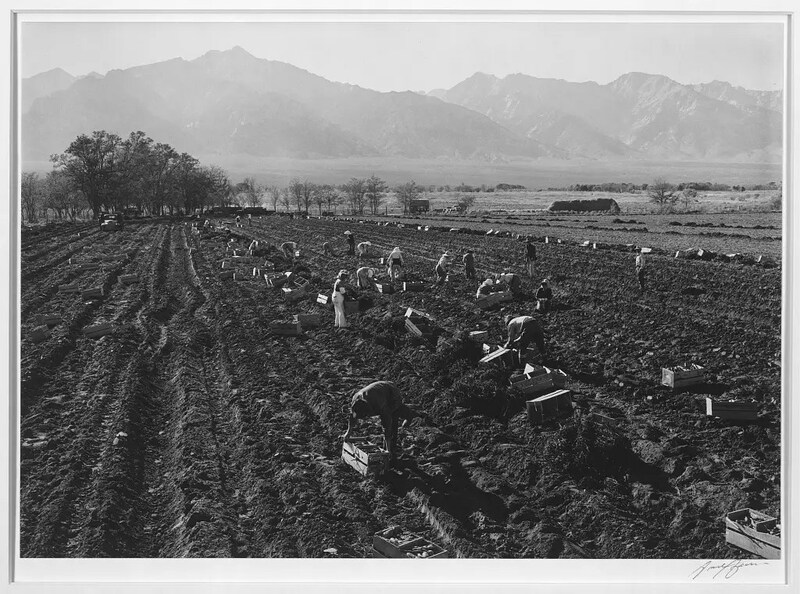 Images of the fields at Manzanar are beautiful. There’s a sense of community in the midst of hardship. 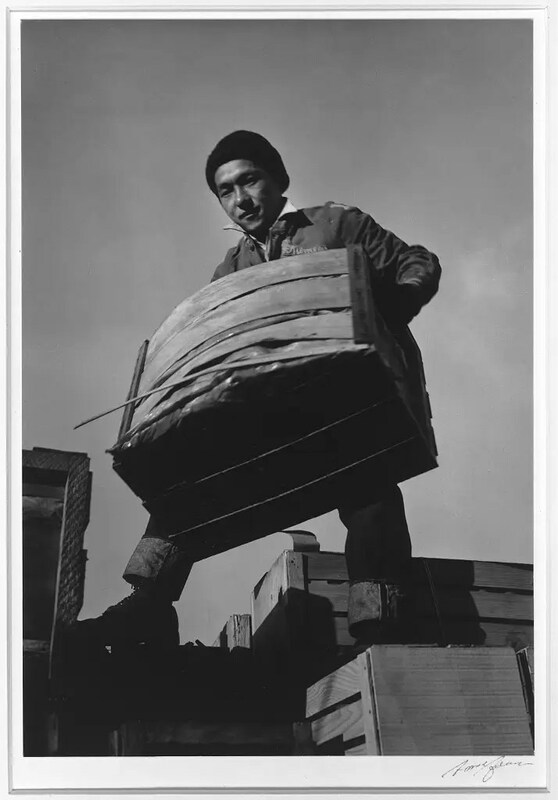 Here, Tsutomu Fuhunago lifts a produce crate. 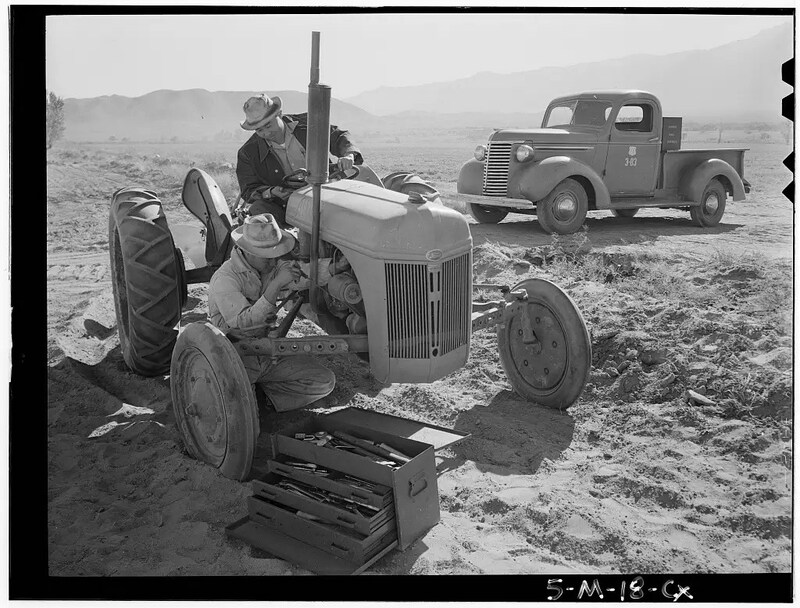 Here, a mechanic repairs a broken down tractor while the driver looks on. 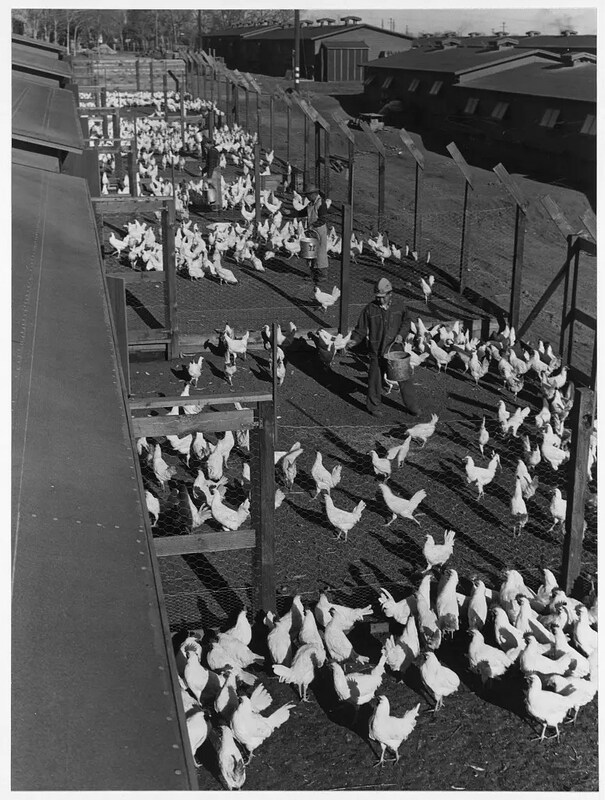 The camp was largely self-sufficient, keeping livestock too. 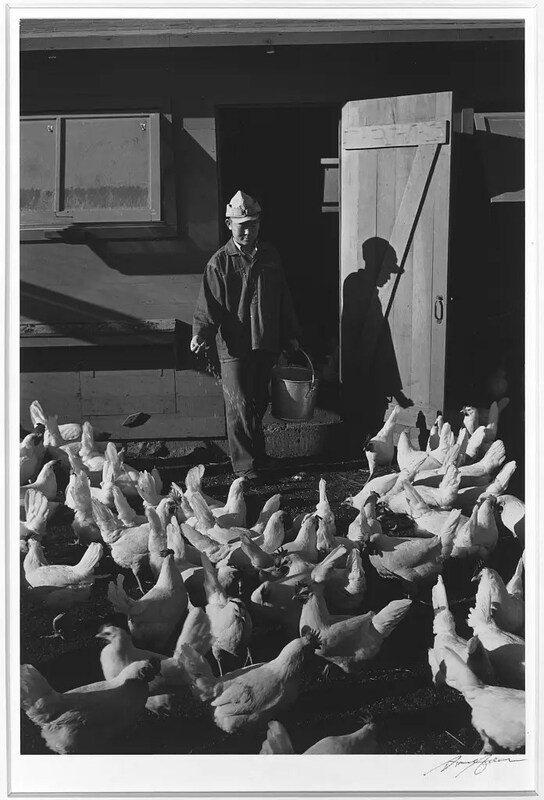 Here, Mori Nakashima scatters chicken feed in front of a chicken coop. 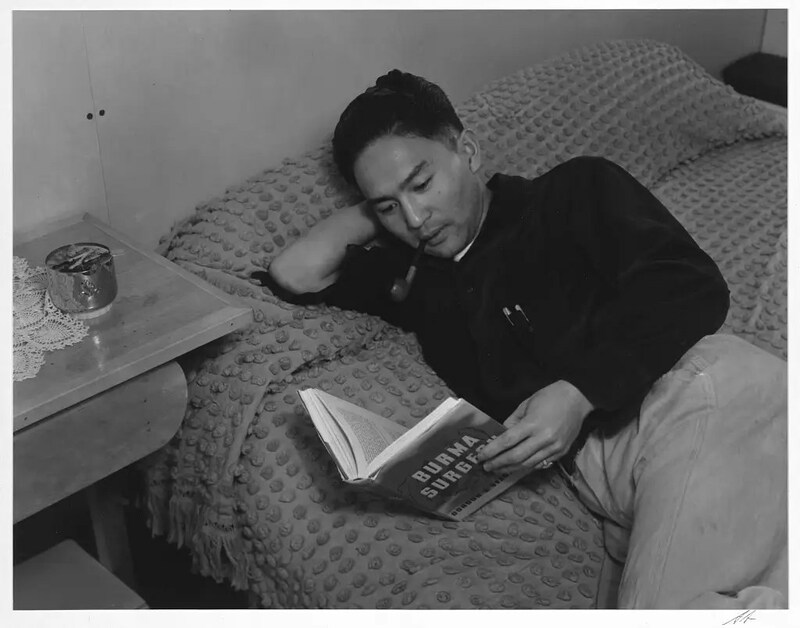 Adams also captured the recreational time at the camp, like in this image of Dennis Shimizu lying on his bed reading. Or these women playing volleyball. 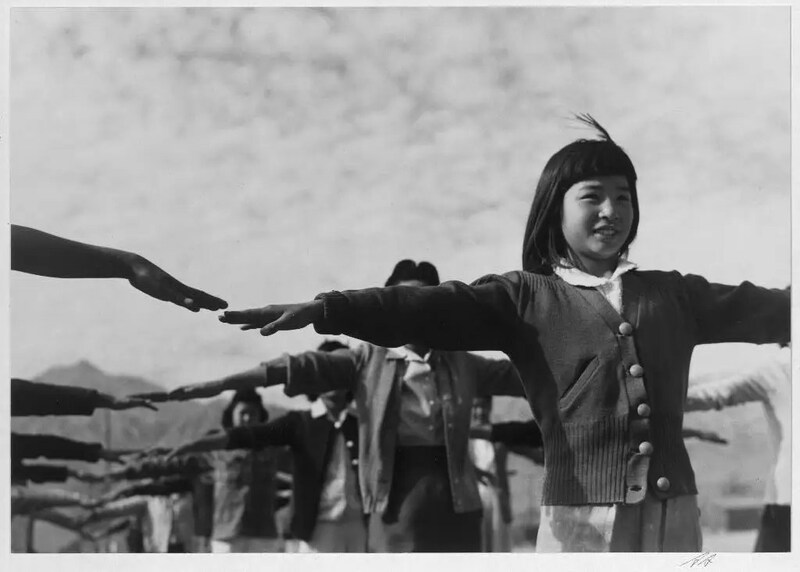 Here, a group of girls perform morning calisthenics. 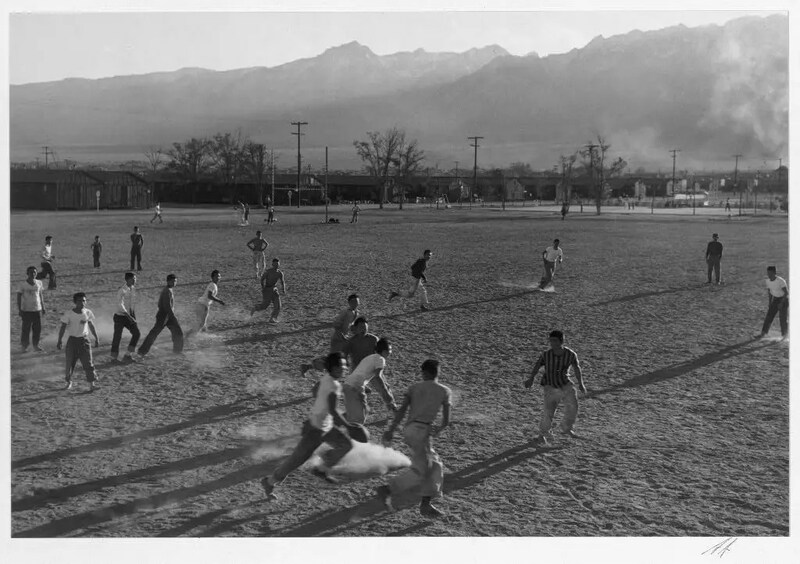 Men play American football on a dusty field. 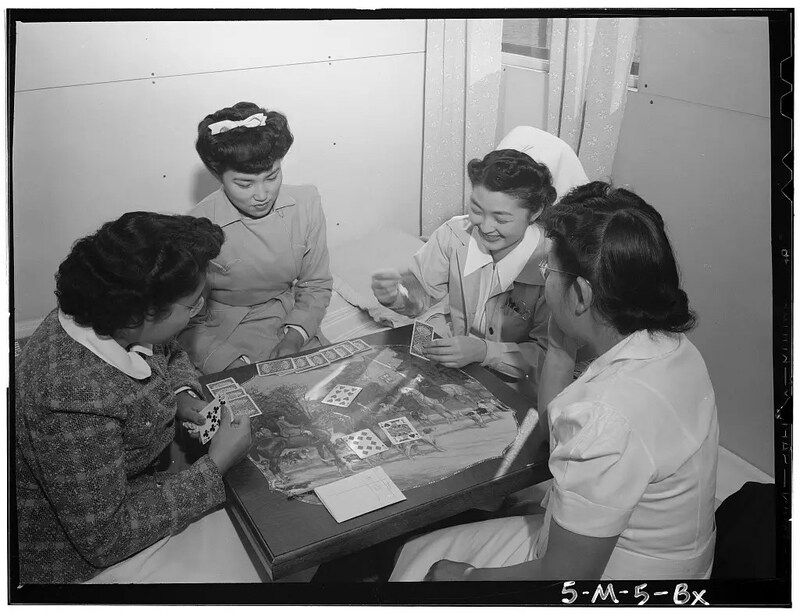 This picture of women playing cards shows the different backgrounds and roles of the camp’s inhabitants. 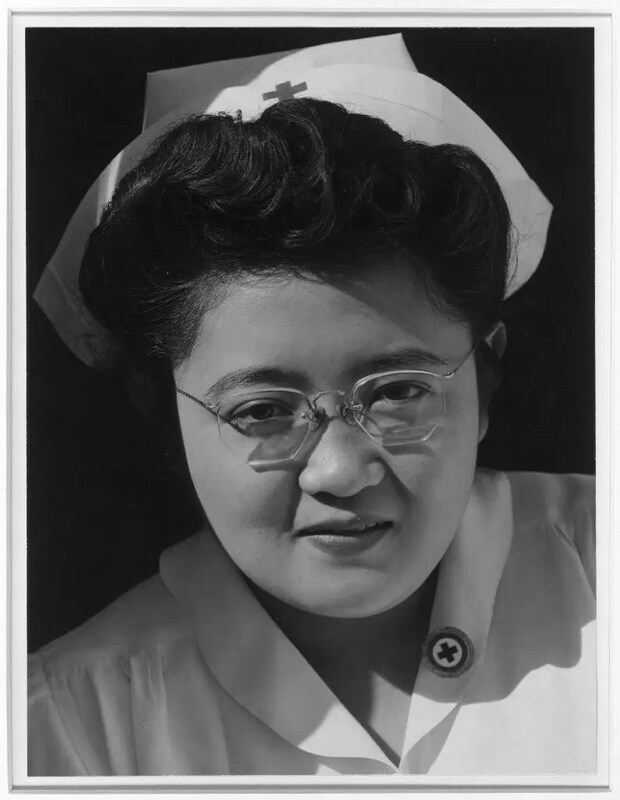 They were nurses, like Catherine Natsuko Yamaguchi. Sunday school teachers, like May Ichide. 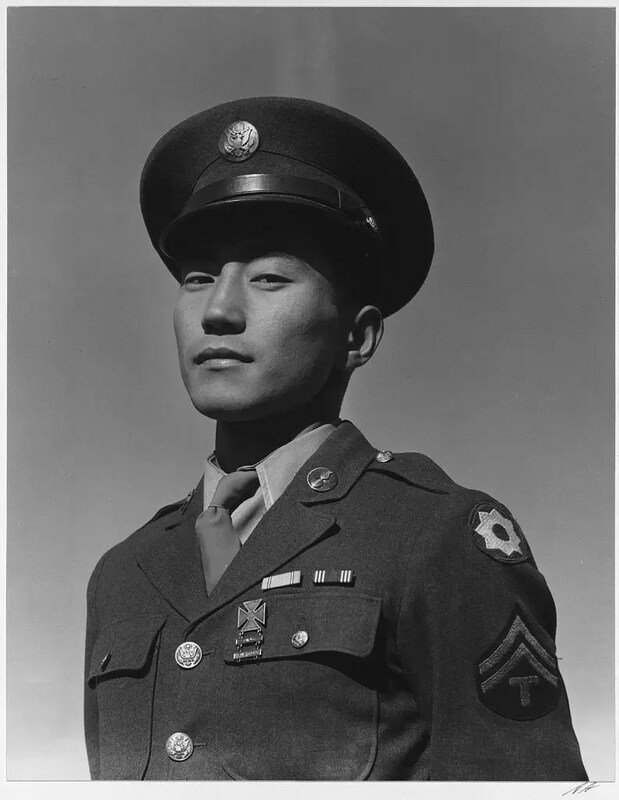 Soldiers, like Corporal Jimmy Shohara. 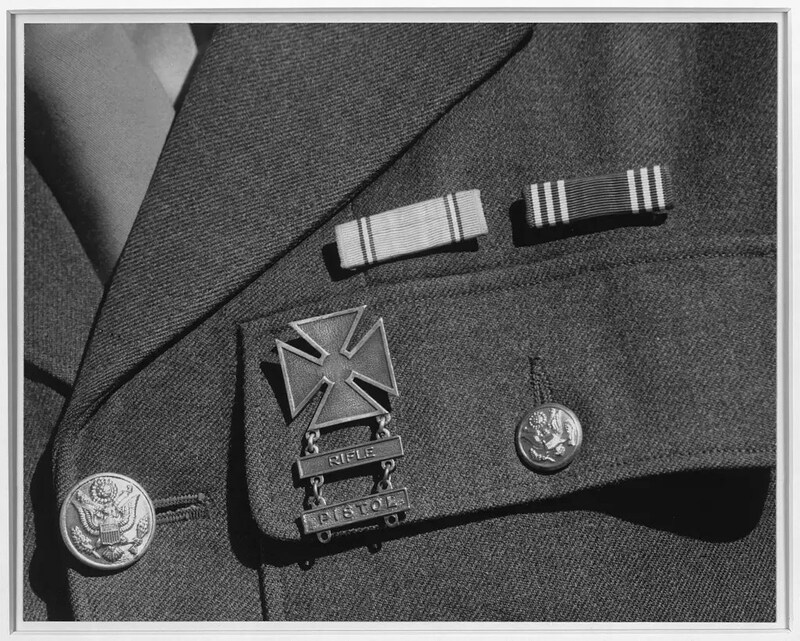 It’s remarkable to think that people could serve in the military and still be interned. But it was apparently a common occurrence. For some, it had been the only life they ever knew. Up until WWII, most houses in Japanese cities were built without baths (even if you did have your own bath, you’d probably have to share it with your neighbors). Instead, local sento, (public baths) were located within walking distance in the neighborhood. People would change into their yukata or pajamas and head to perform their ablutions at the end of the day. With the day’s activities finished and nothing left to do but sleep, people spent a long time in the large, steaming-hot baths that soaked out all the stress of the day, both mental and physical. The size of the tubs and the socializing aspect would have been impossible to replicate at home even if you did have your own bath. I also enjoyed this aspect of the public bath house when I first moved to Japan and lived in a small six-mat tatami room near the university. Over four years I got naked with my neighbors. The large bath hall with its high acoustic ceilings reverberated with ladies’ laughter that spilled out onto the evening streets as neighbors caught up with the day’s gossip. 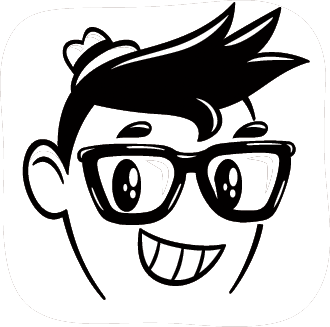 I learned to speak Japanese with a distinct echo. But nowadays houses are all built with private baths, so the sento culture is dying out. Only the old lady who lives in that decrepit old house on the corner still goes to thesento–if there is one left in the neighborhood. Japanese bathing rituals are still carried out at the onsen, where you’ll get a more modern, luxurious hot bath experience in natural hot spring water, but you’ll probably have to drive there, pay a lot more money for the privilege, and the socializing aspect will be almost non-existent. The onsen will also be much cleaner and beautiful because they are made to attract local tourists. Thus they will not have a mural of Mount Fuji hand-painted on the inside of the bath house wall, revealing faded colors and cracked lacquer paint. Nor will they have aging, coin-operated message chairs that look more like torture devices with the rollers sticking out to jab into your back. And they certainly won’t have hair dryer chairs that require a large glass globe be lowered over your head and a tornado-producing wind that hovers over your head while your locks stand up and whip around as if they’re inside a blender. Doesn’t the sento sound much more interesting than the onsen?! Local sento are few and far between these days but you can still catch a part of this Japanese bathing history if you search the oldest neighborhoods of any city. Look for a chimney that looks more like a smoke stack coming out of the top of the building (remember Spirited Away?) or a noren curtain out the front with the ゆ mark on it, the symbol of a sento. Or check out this website for locations by prefecture. While the above photo may look like surgeons ready to operate on a whale in its own aquatic environment, they’re actually ama pearl divers, a distinctly female Japanese profession. The ama divers have a two-thousand-year-old history and used to dive in fundoshi loin cloths while tethered to a wooden barrel that floated on the ocean’s surface. Nowadays they wear white outfits but still dive–sometimes as deep as 25 meters (82 ft)–with just a mask, unassisted by oxygen. They must be able to hold their breath for up to two minutes, and expel the air gradually as they resurface. While in the 1950s there were still some 17,000 ama divers in Japan, there are only around two thousand left, most penetrating the waters of Ishikawa and Mie prefectures. These days they retrieve abalone and other shellfish from the bottom and almost all of the divers are over 40 years old. Mikimoto Pearl company made the ama famous when they started using them to retrieve oysters so they could plant irritants into their mantle cavities to create pearls. The ama then returned the mollusks to the sea bottom. Mikimoto Pearl Island in Toba (Mie Prefecture) holds demonstrations for tourists. Although it is just a demonstration, at least you can still see the divers while they are extant. Out of approximately 700 islands in the Seto Inland Sea (also called the setonaikai or setouchi in Japanese), the largest is Shodoshima with a population of around 20,000. But the majority of the Inland Sea islets support traditional fishing communities of less than 500 citizens. With the decline of the fishing industry in the Inland Sea coupled with the push in education after the war, the islands are losing their populations to the cities that offer higher paying jobs and more modern lifestyles. The islands have been left with aging and stagnant populations. The government has attempted to make the islands more accessible by building bridges to connect them with the mainland. While bridges ensure the survival of these islands, the traditional lifestyles are disappearing due to the proximity of outside influences. But what about the other islands? Those without bridges and that you still need a ferry to get to? These islands, because they are still fairly isolated, still maintain their traditions. But with no focused plan to revive island economies, these communities are fading away.Ferry services are cut back (or stopped completely), and the few remaining families move to the mainland due to lack of services. Yet each of these islands has its own unique culture: folkloric traditions, bon festivals and Shinto rites. Each island that dies takes an entire set of unique cultural values with it. It is still possible to see the traditional Japanese island way of life and experience 400-year-old ceremonies as the sole outsider (as well as the only foreigner!) present. In fact, a few tourist-friendly islands are hoping to survive by inviting sightseers, including foreigners, to come out and experience island life. Islands like Manabeshima (population of 230), Shiraishijima (pop. 556) and Kitagishima (pop. about 1,000) in the Kasaoka Island chain (Okayama) are island gems that are dropping out of sight fast and taking their ancient traditions with them. Naoshima (Okayama) and the lesser islands of Kagawa Prefecture are supported by the Benesse Art Site Naoshima and the Setouchi Triennial Art Festival (the next one is 2016) which offer the chance to see art against the background of traditional island scenery. So get out and see the Inland Sea islands before it’s too late! Terraced rice fields are a scene reminiscent of South East Asia such as Bali or Vietnam, but before Japan’s industrial revolution in the ’60s, they could still be seen all over the country. At that time, rice was the main agricultural product and the grains were planted, cultivated and harvested by hand. With so many mountains, terraced paddies allowed rice to be grown on places that were otherwise considered unusable. The rice fields offered other benefits including maintaining biodiversity in the environment, holding back water during the rainy season to prevent landslides, and adding to the greenery and scenery around Japan. The industrial revolution not only lured people to the cities, but it also rendered the terraced rice paddies unfit for sowing since machinery could not easily reach or be used in such narrow, sometimes very steep, stacked fields. While the tanada have been almost completely abandoned, there has been an effort to preserve some of them recently via government subsidies and non-governmental campaigns. Tokyo’s Tsukiji fish market, established in 1935, is the largest wholesale fish market in the world. It is here were a single Blue Fin Tuna sold for a record US$1.7 million. The market is also one of the top five sightseeing spots in Tokyo for Japanese tourists. But this icon is scheduled to be relocated to make more room for the Tokyo 2020 Summer Olympics. This has created great controversy, especially since the move has been delayed by two years already due to decontamination efforts of the new 40.7-hectare site, a man-made island in Tokyo Bay where previously a refinery was located. Recently, additional tainted ground was discovered leading to more time needed for clean-up safety measures. Although the new venue will be twice as big as the current 230,000 square meters (around 2.5 million square feet), many people will miss the old atmosphere and the quaint restaurants that have thrived around the current market for so many years, including Dai, Japan’s highest-ranked sushi restaurant. And while everyone understands the need to update and innovate, we all know that not all the charms of the past are necessarily transferred to the newer more futuristic establishments. Nor will all of the old restaurants be able to weather the move. Current Location: 5-2-1 Tsukiji, Chuo-ku, Tokyo.